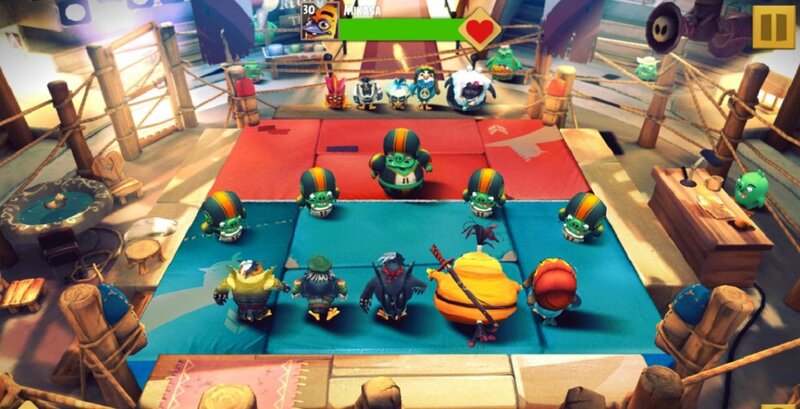 Angry Birds Evolution has released, and series fans have no doubt noticed the game's departure from the traditional Angry Birds style of gameplay. One of the highlights this time around is a player's ability to hatch eggs and obtain newer and more powerful birds. Before they can begin to fill out their rosters, however, players need to first obtain Eggs. Read on to discover the best ways to earn new eggs and begin hatching new birds in Angry Birds Evolution. Earning Eggs in Angry Birds Revolution comes down to a matter of simply playing the game. Both Eggs and Chests are unlocked through winning battles, and once players reach level 10, they will unlock the Quick Battle option that allows them to automatically skip a bout if their birds are strong enough. Doing this makes it much easier to rapidly complete battles and earn either an Egg or a Chest. However, since Chests often contain items that are rarer than eggs, players who are specifically looking to earn Eggs would do well to play the game only in Normal mode. This will not only help increase their chances of earning an Egg after each battle, but it will also help increase their chance for earning a rare Egg. If that seems like sort of a long and laborious process, it's because it kind of is. Eggs and the birds hatched from them are one of the ways that Rovio limits the game's difficulty. However, the more Eggs a player earns, the higher chance they have of earning a rare egg, and the higher their chances of getting a high-level bird from the Hatchery. Once players have a good amount of Eggs on deck, it's time to start hatching them over at the Hatchery. After hatching several Eggs, players will likely fill up all of their available Bird inventory spaces, which opens up a good opportunity to sell extra birds for gold. Players can also opt to convert some of their extra birds into experience points, which can be used to level up their other birds. Players may also want to make use of their eggs when the game is undergoing a global game event. One particular event, the Get Powerful Birds event, is meant just for this occasion, and it increases the chance that a player will spawn rare 4 or 5-star birds. Looking for more great iOS games? We've got a host of solid titles featured over on our list of the Best iOS Games.